Right?! Dad isn't strain sensitive like I am either... If I just grow a mix, at least one of those plants will work for me! Nice! I can't wait to see a grow log if you post one. We make regular seeds only. I am an old school breeder and I have never sold a fem seed because I never had good luck with them. Yes, I made them early on in the 90 s for myself but realized it wasn’t worth the problems. We are often asked if we feminized or have auto flowers. I don’t select for auto as I think it’s a bad trait I don’t want in my strains. I prefer them to flower when I tlell them to. My strains do flower fast and m/f ratios aren’t set in stone. Easing plants into flower gradually as nature does will get higher female ratios. Found a canadian supplier for your seeds. They maybe a little old but your wife said they should be good so I snatched up a pack. Bog customer service is 10 out of 10 if you're into that sort of stuff. Hopefully you can get a canadian distributor for your newest projects. I know I'm not the only one that would like that. I also, would love to know how we can get them here in the future. Gta seed bank is open again. Hello. Im unsure if this is in the correct place, so mods are welcome to move to a more suitable thread location. 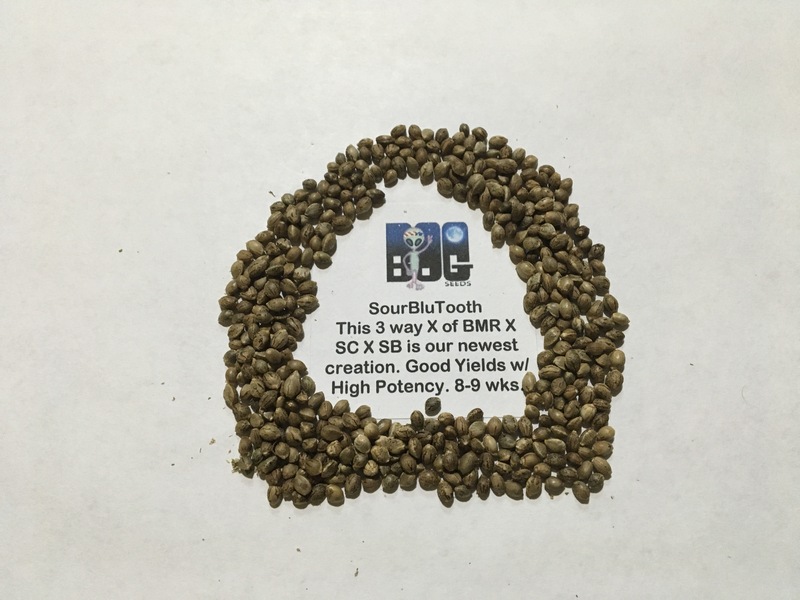 Has anyone use these guys medicalseeds.com? I cannot find much of any feedback, positive or negative. I ask because they carry a breeder I had great success with a long time ago, and I had thought the breeders work was long gone. I havent seen his gear since before Marc Emery got busted. Its The Joker Seed Co. He had a strain he called sweetleaf. I had the NL X of it. Awesome plant! Grew golf balls effortlessly. The fact it cannot be found anywhere else is a big red flag to me. I plan to contact them about it, just to see when they get back and what they have to say. Comments from RIU and some of the other sites going back to 2013 tend to say, "avoid". If it's the same owner... I didn't find much other than that. @Kalgrae No personal experience with that bank, but a quick Google says stay away, they have a history of scamming. Best of luck with whatever you decide. Good call. Unless it was something brand new maybe. Out of Toronto I think? Im sending out an order later this week, Ive never used thee guys. These guys are cheaper than my go-to company hempdepot. They are a newer company I think. He is quick to respond when contaced, and says he has applied (? )for his license to sell clones etc, so I cant see it being a scam. Just not familiar. So I just wanted to air my beef with seedsman. The good news is I have always received my order although it now takes 20-25 days. The price and selection is good. My problem is my last two orders I did not receive all the freebies I was supposed to receive. The first order I signed up for Bitcoin to get 8 free seeds and they sent 6. I let them know and they had a bad attitude and kind of ticked me off so I wrote back and they did give me some points. So I order again and they say I'll get 8 freebies again for Bitcoin and they send 4. When I contacted them again they just said they aren't doing 8 anymore. Well then change the website before your policy! They are generous with discounts and freebies but I feel cheated when they say they are going to give me something with my purchase and they don't. Second time shame on me. I'll be trying somebody else next time. Yeah that's a bit crap, service needs to still count for something. You know, I have used a number of seed banks now, the one I have settled on as most dependable is Seed City, mostly because they have a range of single seeds as big as pretty much anyone, prices are competitive, they have a good selection of cheap generics of well known strains that I have tested and was pleasantly surprised by and their stealth shipping method is fast and reliable. I have never had a package intercepted or lost here and our customs guys are off the hook zealots. The last order I got had 2 Humbolt Bubba's Gift thrown in on top of the freebies I had already selected. Oh unfortunately they also have probably the worst web site on the entire internet, but don't let that scare you away. Thanks. I might try them next. The website isn't to bad and they do have a good selection. Just got an order from Jordan. All as promised free 12 seeds as well. Took like a week or so.